At first glance, North Dakota may seem like a state with never-ending fields and highway. But a closer look reveals a land rich in history, culture and heritage. With a wide range of activities, families of all ages will find something legendary in North Dakota. In July, my husband and I are traveling from our home state of Ohio to the Pacific Northwest, in a quest to travel to as many of the 50 states that we have yet to discover. While I’d planned to pass through North Dakota, I hadn’t planned on spending a great deal of time exploring. But after doing a bit of research on the Peace Garden State, I’ve learned that I could spend weeks uncovering what makes this state special. 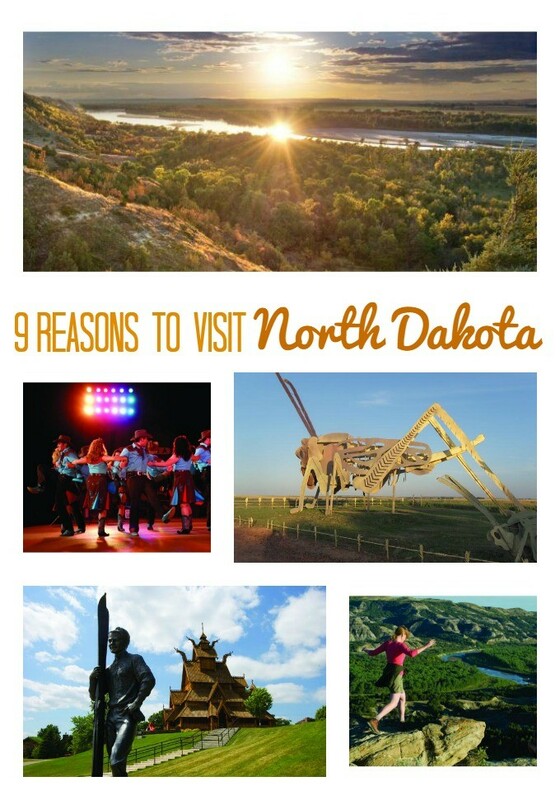 There are so many things to do in North Dakota that appeal to me that I couldn’t possibly do them all, but I have narrowed my list to my top nine attractions and destinations in the state. Photo provided by North Dakota Tourism. As an avid road tripper and roadside attraction enthusiast, I can think of nothing more appealing than a drive along the Enchanted Highway. The 32-mile stretch of highway between Regent and Gladstone is dotted with giant sculptures and whimsical displays. 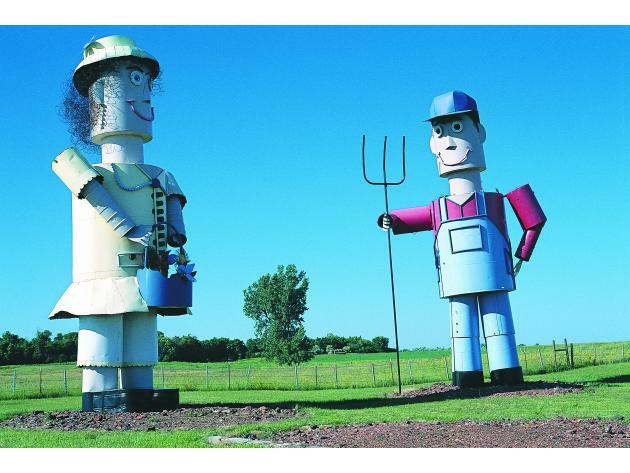 Roadside attraction lovers will also appreciate the many giant sculptures located throughout the state. The World’s Largest Turtle, Cow, and Buffalo can all be found in North Dakota. A trip through North Dakota would not be complete without a drive through this natural wonderland with rugged buttes, hills, and canyons, where the prairie dog and bison roam. During years that my husband and I plan to travel frequently, we purchase a National Parks Pass. This annual pass allows us free entry to the national parks that charge entry fees so we stop at as many parks in our path as possible. This attraction pays homage to five Scandinavian countries; Sweden, Finland, Norway, Denmark and Iceland and the settlers who left much of their material possessions behind to thrive in the New World. Highlights of the park include the Gol Stave Church Museum, Dala Horse, Heritage Center, Danish Windmill, and statues featuring Leif Eirikssen and Hans Christian Anderson. Follow in the footsteps of famed explorers, Lewis and Clark, on their famous trek westward. It was in North Dakota where they met Sacagawea, the only women to travel with the Corps of Discovery. Walk where they walked and imagine what it would have been like to travel on this expedition. Visit Historic Medora and step into the Old West. 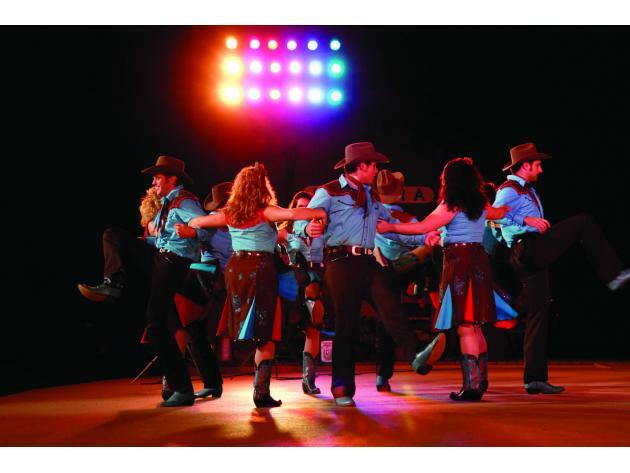 Hop on a stage coach to ride from Medora to Deadwood, tour the Cowboy Hall of Fame, or visit the open-air theater to watch the Medora Musical. Set in the Badlands, this musical is touted as “The Greatest Show in the West” and features plenty toe- tapping, foot-stomping fun. My husband and I frequently tour historic properties when we travel so it’s only natural that the Chateau de Mores, a 27-room home built by a friend of Theodore Roosevelt, would catch my attention. 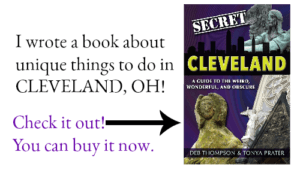 The part of me that loves unusual, fun, and quirky attractions finds Rugby appealing. Known as the geographical center of North America, a two-story stone cairn along US-2 marks the spot. A pioneer village with over 25 restored buildings have been relocated from around the county is also open to visitors. Growing up, my great grandmother told me that our family is descendants of the Sioux Indians, so I’m intrigued by the people that now live on the reservation in North Dakota. Fort Totten, one of the country’s best preserved 19th-century military forts is located on the reservation. You’ll find restored buildings, a museum, and theater at the fort. It’s unlikely that my husband and I will embark on this 120-mile long trail that connects the North and South portions of the Theodore Roosevelt Park but hikers, mountain bikers, and horseback riders will find this scenic trail through North Dakota’s Badlands a must. Featuring sites with fossil sites and dinosaur attractions, this trail will appeal to fans of Jurassic World. 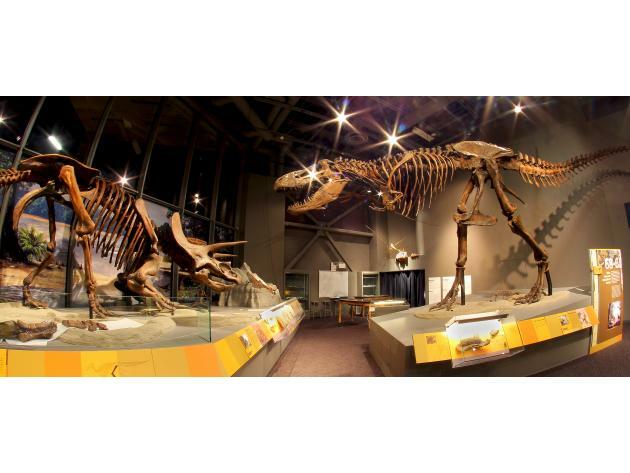 View artifacts from prehistoric times and uncover dinosaur bones at one of the dig sites. 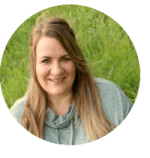 Do you want to plan your own visit to North Dakota? Visit the North Dakota Tourism website for more information. Have you visited North Dakota? What attractions would you add to this list? This sponsored post is brought to you by North Dakota. I highly recommend a visit to the International Peace Gardens, a 3.65-square-mile park located on the international border between Canada and the United States,1/2 in the state of North Dakota and 1/2 the province of Manitoba. It was established on July 14, 1932, as a symbol of the peaceful relationship between the two nations. The beautiful gardens are filled with thousands of flowers: a sunken garden, a succulent garden, a floral clock and flower flags. Take your picture with one foot in Canada and one foot in North Dakota. There is also a clock tower that chimes every 15 minutes and beautiful serene chapel with engravings of peace on every wall. A must see for all. You won’t be disappointed. We love visiting in late summer when all the flowers were in bloom. Thanks for the tip. Definitely adding the International Peace Gardens to my list! I would love to visit that reservation and the dinosaur tour. I love visiting museums and learning new things! I’ve never heard of the Enchanted Highway, but it sounds like so much fun. It sounds like a parade where the audience does the moving. I really hope we can fit this drive in on our trip through North Dakota! I love things like this.